I love going to movies at the drive-in. There’s nothing better than relaxing in your car and catching a flick under the stars. I was fortunate enough to grow up in a small town that still had an operating drive-in movie theatre (and still does today) so my drive-in movie experience started at a young age. It began with my parents taking us kids to the drive-in theatre only for us to fall asleep in the backseat and miss half of the movie – which in retrospect my parents probably enjoyed! As we grew older, there were elementary school birthday parties and weekend outings where Mom and Dad became the ones falling asleep in the backseat. Then there was the typical middle school attitude of “just drop me off at the entrance and park as far away as possible from me and my friends” days. Until finally we reached the point where we were old enough to drive. Then there were date nights, stuffing friends into the trunk to get in free, and mad gossiping about who was at the theatre with who. Ahh, the lifecycle of a drive-in movie theatre. At one point in time there were over 4,000 drive-in theatre’s in the United States (reaching its peak in the late 50’s and early 60’s) but only 400 remain today. 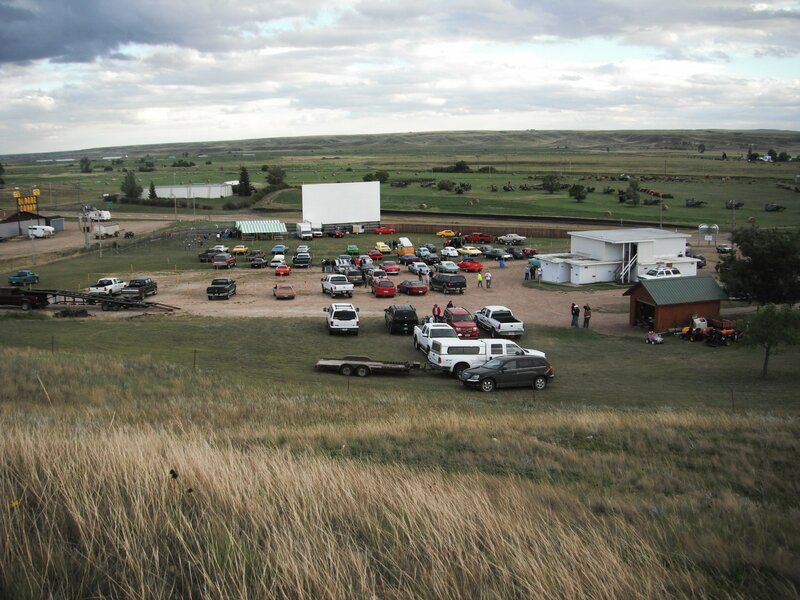 Some of the major factors that lead to the decline of the drive-in theatre include real estate costs, seasonality (especially for those of us in NE Montana where snow frequently shows its face in May), and limited operating hours (or “limited darkness” you might say). The widespread availability of video rentals also took its toll on drive-in theatres but despite the fact that I can instantly stream a movie through my Wii, there’s still something about the drive-in that is special to me. Maybe it’s because it’s something I grew up with. Or maybe it’s just the feeling of nostalgia. Whatever it is, I absolutely love the drive-in theatre. I was ecstatic when I found out there was a drive-in theatre still operating only forty miles away from Portland (my current city of residence). My boyfriend and I went to the Newberg, OR drive-in last weekend and watched a double feature under the stars. The entire parking lot was filled with cars, lawn chairs and pickup trucks with blow up mattresses in the bed. Now that’s what I call a night at the movies. Wondering if there’s a drive in theatre near you? Visit Drive-ins.com for a search-able drive-in directory.